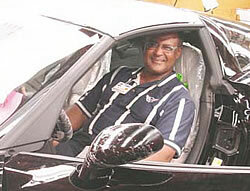 Wilmer Cooksey was named plant manager of the world's only Corvette plant in February of 1993. As a lifelong fan of the car, it was a dream job come true. Born in Fort Worth, Texas, Cooksey received a Bachelor of Science degree in electrical engineering from Tennessee State University in 1965. He earned a Master's degree in industrial engineering from the University of Toledo in 1972 and completed postgraduate doctorate work in mechanical engineering at Michigan State University. A Distinguished Graduate of the Officer's Training School, Cooksey served as an executive officer in the U.S. Army Artillery, 1st Lieutenant. His last assignment was a year in Vietnam, where he was awarded the Bronze Star for his efforts. Cooksey's General Motors career is the epitome of achievement, beginning with his first job as an assistant professor in industrial engineering at GMI in Flint, Michigan. In 1976 he transferred to the St. Louis plant where he held several positions before being transferred to the Doraville plant in Atlanta, GA. After working at various superintendent positions at Doraville, he was named production manager at the Fairfax plant, the position he held until his current assignment as the plant manager of Bowling Green assembly plant. Under Cooksey's direction, the Corvette has received numerous awards including "America's Best Automobile of the Year" by Automobile Magazine, "Best Premium Sports Car" by J.D. Power, and "Best Sports Car" by Money Magazine. In May of 2002, the Bowling Green Assembly Plant was awarded two prestigious awards. J.D. Power & Associates named Corvette as "Best in Segment" for the second year in a row and recognized the assembly center as North America's Silver Plant. Cooksey takes an active role in the community. He currently serves on the boards of the National Corvette Museum, Greenview Hospital, Tennessee State University's Foundation Board of Trustees, Western Kentucky University School of Business Advisory Board, Western Kentucky University College of Education and Behavioral Science, Drug Abuse Resistance Education Advisory Council, and Advancing Minorities' Interest in Engineering Executive Advisory Board. Cooksey serves as the General Motors Key Executive for Tennessee State University and the Key Organization Liaison for Career Communications. 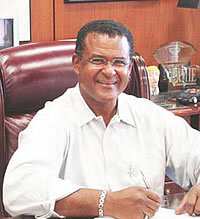 In 1997 Cooksey received the "Black Engineer of the Year President's Award." In the same year, Austin Peay University named him "Achiever of the Year" in their Focus Program. Cooksey received a Presidential Citation from the National Association for Equal Opportunity in Higher Education in recognition of exemplary experience that honors Tennessee State University. He has been honored as an Outstanding Graduate of Tennessee State and named a "Black Achiever in Industry" by the Southern Christian Leadership Conference. Cooksey was presented a certificate from General Motors in recognition of his dedicated service to volunteer activities. Cooksey has been featured in numerous publications including Dollars & Sense Magazine, Contempora, African Americans on Wheels, Vette, Corvette Quarterly, and Corvette Fever magazines. General Motors selected Cooksey this year as a representative for ads in Ebony and Essence highlighting GM's support in the area of diversity. In his free time, Cooksey likes excitement. His hobbies include drag racing and flying airplanes. He resides in Bowling Green with his wife, Elizabeth, a professor at Western Kentucky University. They have two children, David and Crissy and three grandchildren, J.D., Katrina, and Kieara. Will Cooksey is set to retire in March of 2008. As a young man serving in Vietnam, I was surrounded by loss and despair. It was at this time of refl ection in my life when I made a promise to myself, "If I make it out of here alive, I will not settle for average any longer. I will set my sights high and strive for the best." Unlike many friends of mine, I made it home and found the opportunity to live out my promise. Having studied car magazines to bide time during the war, my love for Corvettes had grown even deeper. When my feet returned to American soil, my fi rst major purchase was a 1969 Black Corvette. When I had the chance to interview with General Motors, I jumped at it thinking maybe, just maybe, somewhere down the road I could work with Corvettes. As I began in the manufacturing world, my dream was clear...to one day manage the Corvette Plant. One thing led to the next, and after 20 years with the company, my fantasy finally became reality. The last 15 years at Bowling Green Assembly have been more than what I ever envisioned. As the days and years unfolded, I continued to find myself in a job I loved, surrounded by good, hard-working, kind people. What more can you ask for? Yes, there have been challenges and rough times as we faced diffi cult decisions and embraced change. But I found that when you work together and do the right thing, the sky is the limit. No words can describe my appreciation and adoration for the employees of Bowling Green Assembly. Thank you in advance for the many happy moments I will have in retirement as I think back and share stories on all of the fun and laughs I've had here. I've been asked many times why I never left Bowling Green Assembly and moved on with my career. The answer is simple. I was in love with the car when I came here, and it took only minutes to fall in love with the people. Enough said. To Corvette fans near and far, I'm still here. I assumed the role of Chairman of the Board for the National Corvette Museum on January 1, and I look forward to working closely with the Museum to continuously improve their Corvette offerings. And look for me in the crowds at Corvette events across the U.S. You can't miss me; look for the big guy in the back with his hand raised, asking the most questions. 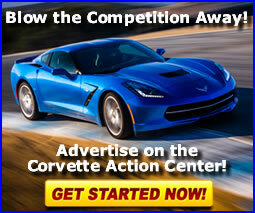 It's true; once Corvette is in your blood, it remains there for a lifetime. I leave Bowling Green Assembly with a hopeful heart, and I'm confident that my successor, Paul Graham, and each of you will work hard to keep this plant moving in the right direction. I look for your continued success for many years to come. As you continue to place more and more dreams on the road all over the world, remember the sign that hangs at our entrance, "Through these doors walk the finest auto builders in the world."